Education: M.A (Urdu), M.A(Punjabi)Diploma C.Engineering. Profession: Deputy Director (Retired),CDA , Islamabad. · Anthology ’Shehre Fasana’ (Self selected 50 short stories) published, Islamabad-2003. · Presidential Award ‘Pride of Performance’ for literature announced on 14th August,2004. · Four TV serials Janoon, Bandhan, Rahain and Pooray Chand Ki Raat. · Attended many meetings of writers ,artists and intellectuals in Beijing Xi'an, Hangzhou and Shanghai (China) in 1999 and in UK and USA in 2004. 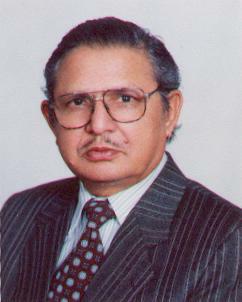 · Ex.Co-editor of Monthly Alamat, Lahore.